Guys, let’s have a chat. Topic of interest? The fact that Adele just broke the most-viewed video in 24 hours record on YouTube. Awesome, right? It most certainly is. But, instead of focusing on the epic way Adele has returned to the music scene, I’ve mainly seen people out that she’s defeated Taylor Swift, as if the two were in a sword duel to the death. Adele did break Swift’s record that was set by the "Bad Blood" video. But why exactly is this a competition between the two women? Why are we not celebrating the both of them instead? Firstly, I think we can all agree that Adele and Swift are two very different singers with two very different styles. How amazing is it that they both were able to captivate so many people, in spite of that? 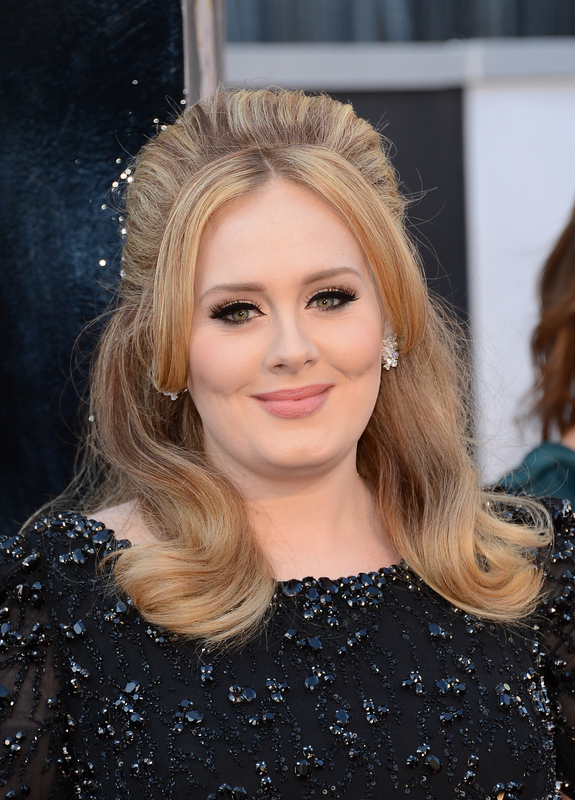 We can absolutely be excited that Adele is breaking records. We can be excited that she broke a record set by another artist who is comparable to her in popularity, but we don’t have to make it personal. It isn’t Adele versus Swift. It’s Adele and Swift, who are both, in a way, making things possible for the rest of us women. Here are seven reasons why Swift’s previously held record and Adele breaking it, is a victory for all of us ladies. You know what's bad about Adele breaking Swift's record? Nothing. That's three consecutive women record holders. Why are we not talking about this?! As Minaj expertly raps in, "Still I Rise," "Cause every time a door opens for me that means you just gotta a better opportunity to do you/They don't understand these labels look at numbers it's statistics." Giving hope to the rest of us millennials that, yes, we can make great strides despite our age. Adele is 27 and Swift is only 25. We all make mistakes and trip up from time to time — these ladies included. (I think we all can remember the momentary Swift/Minaj feud of '15.) But I think we can also all agree that when it comes to truly problematic celebs, Adele and Swift aren't among them. In fact, they're both go-getters who typically stay in their own lanes and are focused on just doing them — and, doing it well, I might add. Let it be known that I am not dissing recording artists. We aren't all lyrical geniuses, and I don't expect every singer with a killer voice to also pen their songs. But, that said, we know Adele and Swift do write their own songs. Isn't it gratifying to see them both succeed by singing from the heart? It's a lesson that being brave and true to oneself absolutely does pay off. There's something to be said about the universality of their music, for sure. I understand that just because something is widely-viewed doesn't necessarily equal quality, but in this case I think it does. Both women are established artists with highly regarded work. This isn't some fluke. People keep up with their music because they love it. And, in turn, that reverence gets other people to tune in as well. A clear win for us all. It's all about girl power, people.